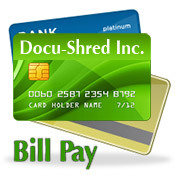 Docu Shred Inc. was started in 2001 as a division of Roller Office Supply in Grand Forks, ND, and purchased in April 2008. We are locally owned and operated. 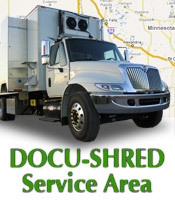 After a thorough audit process, Docu Shred Inc. was awarded the AAA certification by the National Association of Information Destruction (NAID), in April 2009, for mobile operation, making us certified for on-site operation in North Dakota and Minnesota. As an on-site records destruction service, our primary concern is making sure your business is safe and secure in your destruction process, while providing you friendly customer service and the peace of mind of on-site shredding. It is our goal to provide the highest quality customer service and most secure method of records destruction throughout North Dakota and western Minnesota.